The great Liverpool sides of the late 1970s and early 1980s dominated football in England and Europe completely. Bill Shankly had made Liverpool one of the best clubs in England, and Bob Paisley took Liverpool to new heights making them one of the greatest teams of all time. The arrival of Kenny Dalglish in 1977 changed the course of Liverpool history as he became arguably the greatest ever player to don the famous red jersey. The genius of the manager, Bob Paisley was evident as Liverpool produced some of the most excitingly dominant football ever seen, asserting their superiority both domestically and internationally. His assistant manager Joe Fagan took over in ‘83 and ensured the great Liverpool machine didn’t run out of steam. The team is characterized by the the four main pillars, Grame Souness in the midfield, Alan Hansen at the back and the partnership of Ian Rush and Kenny Dalglish at the front. 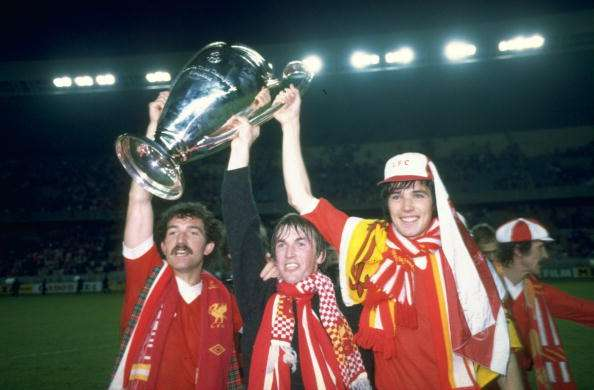 Under Souness captaincy, Liverpool blossomed into one of the greatest European squad of all times, winning an astonishing four European Championships, and 5 English Championships and 4 League Cups. Rush went on to become the club's all time leading goalscorer, scoring 346 goals including a record 25 goals in the Merseyside derby. Liverpool have never reached the heady heights of the great squad since then. Can you take over and make The Reds even better?? Load up England and any other countries you wish. You have 7 seasons to score as many points as possible. The total goals by your Scottish - Welsh striking duo and the assists by your Scottish midfielder divided by 7 will be added to your points. 1. 10 points for every league title won. 5. The total goals scored by your Welsh - Scottish attacking duo and the assists scored by your Scottish midfielder divided by 7 will be added to your points. So, just completed this challenge and posted my score. So, hopefully somebody comes and does a better job than this.